Ah, springtime – the season when life, greenery, and sandals return to the land and towering storms return to the sky. Severe weather is already visiting parts of the southern Plains this year (including Oklahoma and Texas), and it will soon begin its annual march northward across the country as winter gives way to spring and summer. 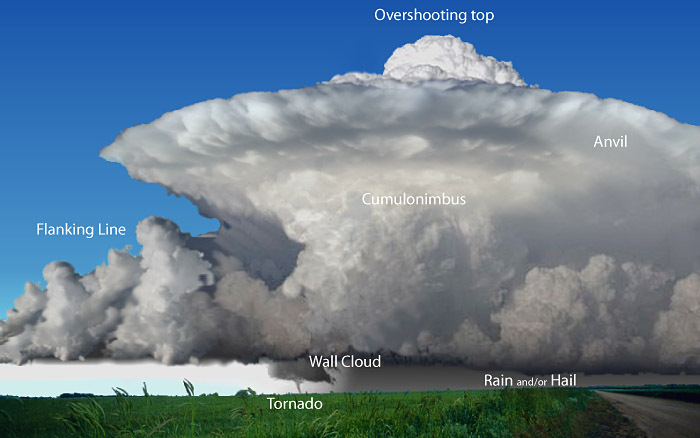 Severe storms are fueled by the tremendous energy of an unstable atmosphere, where cold air vies with warm in a perennial battle for territory. Storms fire up and ride along the front lines – sentinels flashing, booming, blowing, and occasionally swirling their way across the landscape. For this reason, there really is no true, nationwide severe storm season – that clash of warm and cold air masses occurs at different times of year across different regions of the country, resulting in regionally variable storm climatologies. 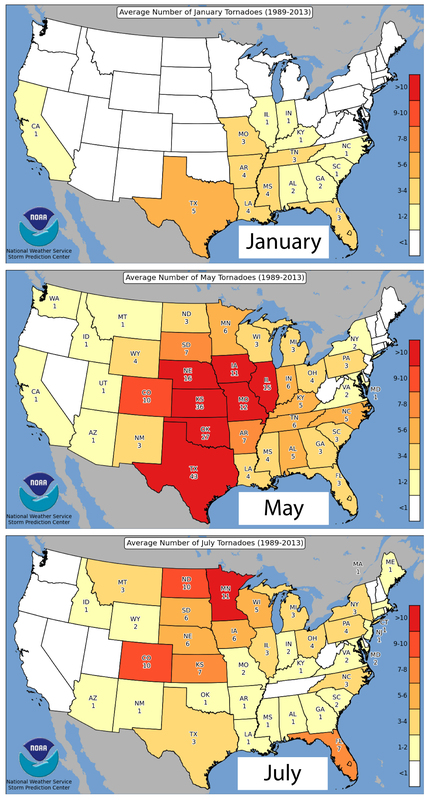 Typically, storm season ramps up first in the South, where warm air returns earliest (or never really leaves): the Gulf Coast states experience severe storms, including hail and tornadoes, every month of the year. During late winter and early spring, severe storms in the South are usually triggered by strong cold fronts that also bring heavy snow and ice to more northern latitudes. As March slides into April and May, the southern Plains see the annual resurgence of supercell severe storms, fed by warm Gulf moisture pulled northward on southerly spring breezes and triggered by strong midlatitude storm systems that sweep out of the Rockies. Supercells – a specific type of thunderstorm that is highly organized, long-lived, and characterized by a persistent region of rotation (the mesocyclone) – are responsible for some of the world’s most damaging severe weather, including almost all significant tornadoes (EF2 or greater) and most giant hail. During June and July, the jet stream shifts northward, steering storm systems (and their accompanying entourage of thunderstorms) into the northern Plains and upper Midwest, where storm season peaks in mid-summer. But don’t get too attached to the timeline – severe weather doesn’t respect the notion of a “season” and can strike well outside the boundaries of what’s considered the climatological norm, as winter tornado outbreaks so destructively illustrate. Because of that variability in when severe weather strikes, it’s an excellent idea to remain storm ready throughout the year. However, that first window-rattling rumble of thunder in the spring can certainly provide a little extra motivation and a helpful sense of urgency. Below are some essential storm preparations to ensure that you and your family are ready to weather the storm (pun intended). Trees are beautiful, stately, and attract a wonderful diversity of wildlife. Deciduous trees are also great for your utility bill: providing leafy shade in the summer and allowing the sun to warm your home unimpeded during winter. But if not properly cared for, they can become highly efficient house- and car-crushers during wind storms. Before the howling winds of spring start blowing across your newly leafed-out trees, call in a reputable arborist or tree trimming company to remove unhealthy limbs and trees and to shape healthy trees to be more wind-resistant. Services typically cost a couple hundred dollars (for basic limb removal) to a couple thousand dollars (for removal of entire trees), and are ideally performed every 3-5 years. A few hundred bucks in preventative maintenance now can save you not only your insurance deductible but also the hassle of major car and home repair. Speaking of insurance, now is the perfect time to make sure you have enough and the right type of insurance. Dust off your insurance policy documentation – or better yet, call your insurance agent for a comprehensive review of your policy. Is your deductible affordable in your current financial situation? The purpose of having insurance is to use it when you need it, so make sure your deductible is an amount you can afford to pay should your home or vehicle sustain damage. 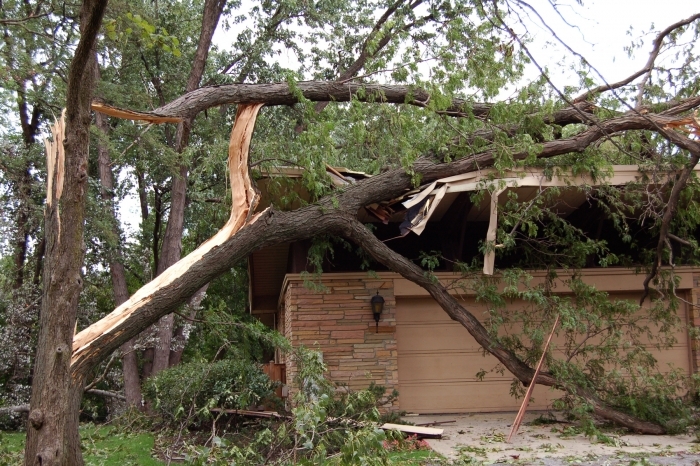 Review your coverage amounts for the structure and its contents – if the worst happens, will your insurance policy pay enough for you to repair or replace your house and belongings? Know whether you have replacement coverage (i.e. the insurance policy will pay for a brand new item equivalent to what was lost) or whether your policy covers only the depreciated value (i.e. the value of a used item equivalent in age, wear and tear to what was lost). Is the type of coverage you have what you need? Have you recently purchased any high-value items that might need to be insured separately as valuable personal property? 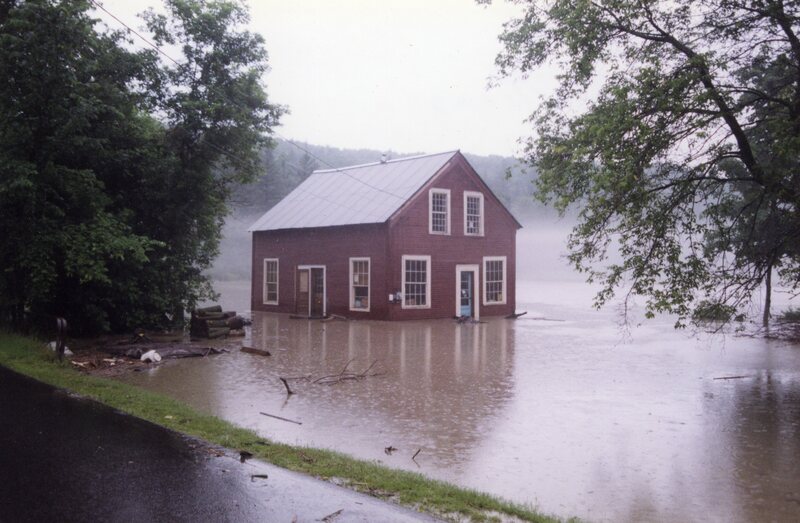 Consider purchasing flood insurance if you haven’t already. Standard homeowners’ policies do not cover flooding, whether from severe storms (flash flooding), prolonged rain (areal flooding), snowmelt, hurricanes, or even sewer back-ups. With an average flood insurance claim of $42,000, that’s not a check you’re going to want to write. You don’t have to live in a designated floodplain to experience flooding – a third of all federal disaster assistance for flooding goes to people outside of mapped high-risk areas. In fact, if you don’t live in a flood plain, you’re likely to get a preferred rate on your flood insurance policy ($35/mo is the average premium for low-to-moderate risk properties). Flood insurance is offered through the federal National Flood Insurance Program (NFIP) and can be purchased through your insurance agent. What you don’t know can, in fact, hurt you. This is especially true when it comes to severe weather. As technology becomes ever more sophisticated, the channels through which we can receive about information about wicked weather headed our way has rapidly expanded. Despite the myriad new options, a NOAA weather radio is still an easy, relatively inexpensive, and extremely reliable means of receiving weather alerts even when you’re not by your TV, phone, or computer. There isn’t one brand of weather radio – instead, NOAA maintains a network of radio stations broadcasting information directly from the nearest National Weather Service office, including forecasts and weather warnings. These stations broadcast on a fixed set of frequency channels, and any commercially-available emergency radio worth buying will come pre-programmed with them. 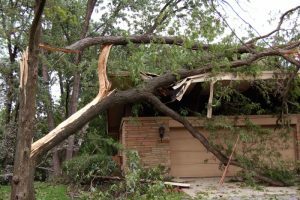 play a loud, obnoxious tone/alarm when an alert is issued, even if the radio sound is turned off – remember, you want it to wake you out of your soundest slumber if a tornado is barreling toward your house. allow you to specify the particular area for which you want to receive alerts – called SAME (specific alert message encoding) technology, radios with this feature will alarm only if the county or region you’ve pre-selected is included in the warning. You probably don’t want to be woken up from your soundest slumber if the tornado is barreling toward somebody else’s house three counties away. 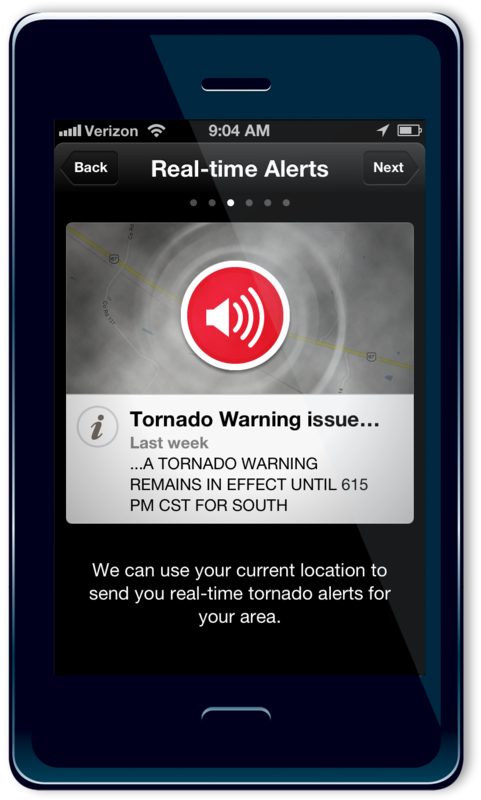 allow you to choose which types of weather alerts will trigger an alarm. If you live in a coastal county, for instance, but not near the beach, you probably don’t want to receive coastal flood warnings. Or you may want to be alerted only to the most extreme events, like tornado warnings, but not all severe thunderstorm warnings. For those whose cell phones have become a fifth appendage, Wireless Emergency Alerts (WEA) put critical information right in the palm of your hand. WEA messages are overseen by the FCC and include Amber alerts, presidential messages, and weather warnings. Many if not most newer cell phones are already capable of receiving them. Participation in the WEA program is voluntary but also widespread among mobile carriers. If your phone is WEA-capable, you can choose which WEA messages you receive (with the exception of presidential messages, which are mandatory), so check for instructions specific to your phone make/model to ensure that WEA weather alerts are enabled. Another mobile device solution is the use of apps. 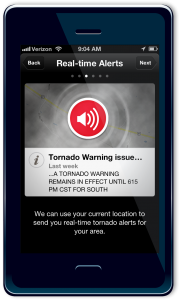 A wide variety of apps will send you a text or alert you through the app itself if hazardous weather is headed your way. The National Weather Service maintains a list of apps, and you can check around for other options. Be aware, though, that cell phone service can be interrupted during and after a major storm – it’s wise to have a back-up means of receiving weather information in case cell service is disrupted. Once you know a storm is coming, what are you going to do? The National Weather Service’s Weather-Ready Nation campaign and The Department of Homeland Security’s ready.gov have resources for a number of specific weather hazards, including thunderstorms, tornadoes, floods, and hurricanes. Read through the information for the weather hazards that can impact your area, and formalize a storm plan for each. Make sure everyone in your family knows what the plans are, and practice the plans, especially if you have small children. Some things to consider: where will you go during a severe thunderstorm or tornado, when a hurricane threatens, when floodwaters rise? How are you going to get information as the weather unfolds? Where do you keep your storm kit? Speaking of storm kits – it’s a really good idea to have one and to keep it in or near your storm shelter (i.e. basement; lowest-level interior, windowless room; or safe room). If you already have a storm kit: excellent! Time to check and refresh the supplies. 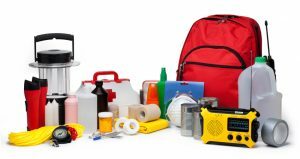 If you don’t already have a storm kit, it’s time to put one together. Ready.gov and Weather Underground both have thorough checklists for building a basic storm/disaster kit. 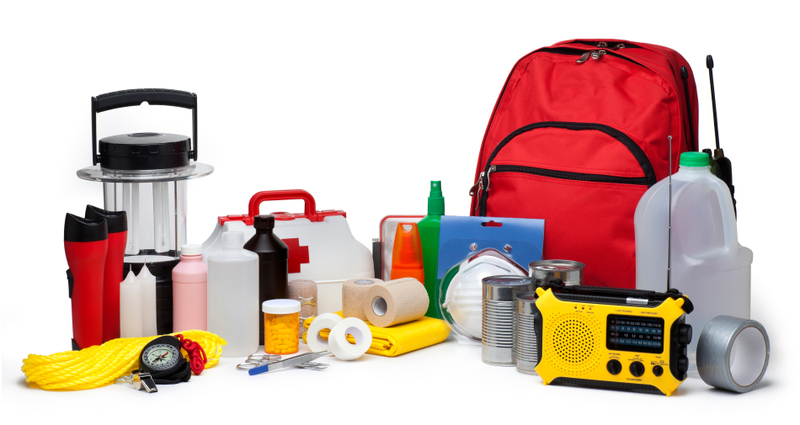 At a minimum, storm kits should include food and water, a first aid kit, medicine, sanitation products, supplies to shelter in place (tarps, duct tape, etc), gloves, basic tools for turning off utilities, flashlights, a portable radio, extra batteries, signals for help (whistle, flare, etc), and infant and pet supplies if applicable. You can expand your kit to include other useful but not necessarily critical supplies based on your own needs. We know it’s a lot to think about, but preparing now — before severe weather strikes — will save time, money, and heartache down the line. At a minimum, you’ll have peace of mind knowing you’ve mitigated against preventable damage, planned how you’ll ride out the storm and its aftermath, and insured your property against loss. And if storm season happens not to spare you this year, you’ll have much more than just peace of mind. You’ll have the tools needed to weather the storm.